If you’re looking to experience both history and culture during your vacation to South Florida, you’re certain to find both close to our resort. 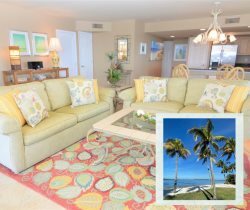 When you step outside our Sanibel Harbour condo rentals, you’ll discover that there are more than a few Fort Myers historical sites and museums to see in Southwest Florida. Whether you’re looking for historic homes, great science museums, or something that is unique and distinctly Floridian, here are a few unforgettable destinations to check out on your next vacation. Beautifully situated along the Caloosahatchee River, the winter homes of Thomas Edison and Henry Ford are two of the greatest historic treasures of Lee County. Preserved furnishings and architecture are reminiscent of the bygone era. Learn all about shells, mollusks, and the natural environment with 26 exhibits, including an interactive Children`s Learning Lab, Shell Classification Wheel, endangered air-breathing snails, and more! Check out the Museum Store for souvenirs! Museum contains many great exhibits and unique historical artifacts, including an authentic replica of a pioneer "cracker" house, a 1926 La France fire pumper, and a 1929 private Pullman rail car. Admission provides hours of fun and entertainment for the entire family. Imaginarium Hands-On Museum and Aquarium offers over 60 interactive exhibits. There is fun for the entire family to explore science, technology, engineering, and math (STEM), and the history of Southwest Florida. The Calusa Nature Center and Planetarium is a non-profit, environmental education center covering 105 acres. The site has a museum, three nature trails, a Planetarium, butterfly and bird aviaries, a gift shop, a woodland pavilion and meeting and picnic areas. The Railroad Museum and Train Village make a great destination for a family outing! The Outdoor exhibits include a cosmetically restored 1905 Atlantic Coastline Railroad 0-6-0 Baldwin Locomotive and Tender, and a cosmetically restored 1953 Seaboard Airline Railroad Caboose. Also operates a one-mile miniature train ride which takes visitors on a 15-minute scenic tour. Each month the SWFLHS has a featured historical display featuring a local pioneering family, business or legal records. It is open to the public at no charge during our hours of operation. Located on the site of Cyrus Tweed’s early twentieth century utopian community, today visitors can fish, picnic, boat, and hike.